13 ½” X 19” serigraph print--contemporary design. Shenandoah is known almost as much for it's waterfalls as it's applachian beauty so I settled upon this iconic falls in White Oak Canyon. Like Bryce Canyon, this is only other print without sky. 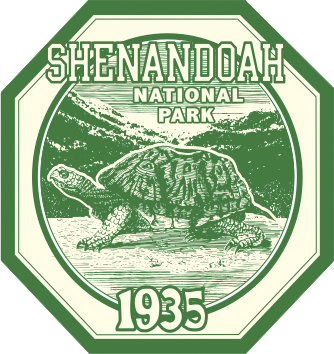 Shenandoah is the northernmost of three connected parks--Blue Ridge Parkway to the south connects you on to Great Smoky Mountains. 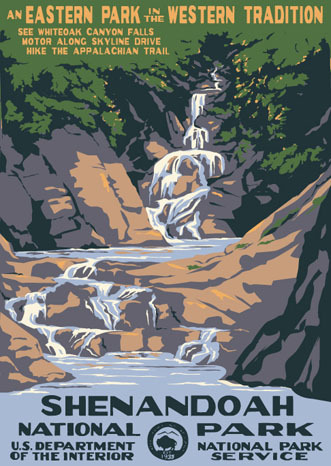 All three Parks celebrated their 75th anniversaries in 2010-12--limited edition prints also available.